There are a few common pieces of church furniture that are easily noticed: church pulpits, church pews, communion tables, alters, crosses, etc. Located front and center, these elements are what customary in many churches, and are what sets them apart from the building next door. They make a statement, and as such are the first things worshippers see on a Sunday morning, when all eyes and ears are turned toward the front of the chapel. Traditionally, most announcements and special readings that are delivered to a congregation are done so from the pulpit or a lectern. These elegant pieces of furniture are customized to any height, in some cases they are adjustable to accommodate the speaker. The design of a pulpit can be simple and elegant, or more ornate and include a cross or other religious design. When a member of the clergy delivers a message from the pulpit, it is done with authority and purpose. Because of the importance of pulpits, it is imperative to have a custom pulpit that is designed to fit you and your congregations needs. 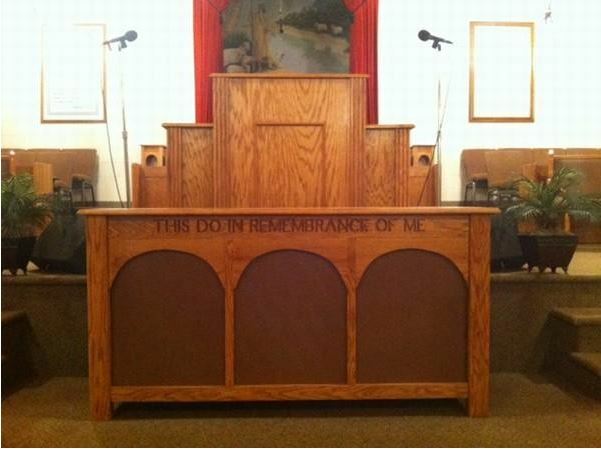 Whether you elect for a wood or clear pulpit, it is possible to get the right pulpit for your needs. Aside from the church pulpit, seating is another important element of the church. The most common types of seating include the traditional church pew, and church chairs. The size of the congregation, the age of the congregation, and the congregation’s needs will all factor into the decision of selecting either pews or chairs. Communion tables are also an important piece of furniture that can be found inside many churches. These communion tables are similar to pulpits because they are customizable to meet the unique needs of each congregation. Many communion tables are equipped with a Bible verse or a Psalm that speaks to each unique congregation. When all of these different church furniture pieces work together, they create a peaceful, spiritual place of worship where individuals can come together and worship. It is important that congregations know and feel that their spiritual needs are being met, and this can be accomplished not only through the message being delivered from the pulpit but through the attention to detail that goes into creating the custom furniture that adorns each church. 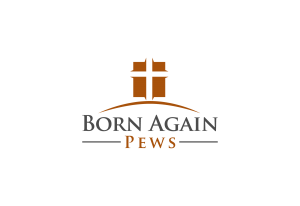 At Born Again Pews, we understand how important the right church furniture can create a beautiful, sacred place to worship. Because of this, we are dedicated to providing quality church pulpits and furniture so that each house of worship is just that—a place where individuals can come and worship.